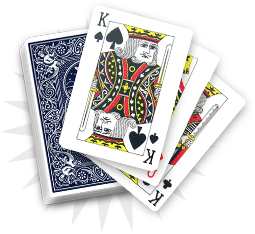 In classic cartomancy, the five of hearts is a good card. 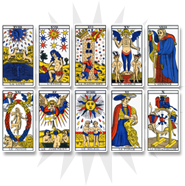 It is often related to the idea of marriage and depending on the other cards of the reading, it announces a union with the person you love. The five of hearts bears the symbolism of the emotional world. It can reveal an unexpected inheritance from someone who loves you, and shows the consequences of a benevolent action from someone who is close to you. The five of hearts distinguishes itself by the form of conciliation that it brings. It is often associated to marriage through the idea of a mutual agreement. It is linked to two persons in love with each other, who share the same goals, and could soon get engaged. 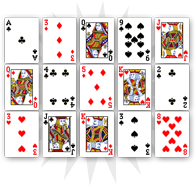 The five of hearts indicates a happy union. If you are about to get married, this card announces joy with your partner. Nevertheless, your marriage could be postponed if you do not agree with your partner on certain things. The five of hearts insists on the idea of happiness through conciliation. 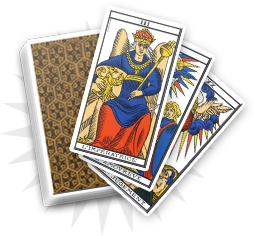 You will have to refer to the other cards of the reading to understand on which elements of agreement you should focus. One of your relatives particularly appreciates you and wants to get closer to you. The five of hearts indicates this desire to forge links and could flatter you. This person is already quite close to you and resembles you. If you are already engaged, do not see a bad omen for your relationship. The five of hearts brings a lot of positive senses. This person is benevolent and wishes to bring you happiness and help you get over your problems.